Ex Army Colonel Arrested, Feds Claim Investigating Multiple Haitian Bribery Schemes. Not too many years ago, Joseph Baptiste was a colonel in the United States Army. Today, he is facing years in prison after being charged with conspiracy to money launder and conspiracy to violate the Foreign Corrupt Practices Act. Prosecutors say he pilfered money from a charity designed to help impoverished Haitians. They say he tried to use the money to bribe a high level Haitian official. Our sources tell us this is one of several Haitian bribery schemes being investigated by the U.S. Department of Justice. Bribery of public officials has long been a problem in many countries. Unfortunately, in some locales it is almost considered a cost of doing business. When public corruption occurs, the public suffers as well as the good businesses trying to make an honest living. If the charges in this case are true, Baptiste took corruption to a new low by stealing money from a charity set up to help the poor. A just unsealed probable cause affidavit by the FBI shines a light on how these illegal Haitian bribery schemes are organized. According to the FBI, Colonel Baptiste served in the U.S. Army for 26 years. Since retiring he has remained busy. The FBI says that Baptiste serves as the president of an IRS recognized nonprofit. He also serves on the board of directors of a multi-million-dollar private company that claims to be building a port project in Haiti. A prospectus for the company claims the project involves a power plant, petroleum plant, deep water terminal and cement factory. Was Baptiste just a bumbling novice trying to break into the world of international money laundering and bribery? No. The agent says that Baptiste claimed he made past bribes to Haitian officials. One was to help a telecommunications business build a cellular network in the country. He claims a similar bribery scheme made on behalf of a power plant operator. The scheme was so brazen that Baptiste even went so far as to send a photograph of himself with the Haitian official they were planning on bribing. The FBI claims that they revealed themselves to Baptiste on December 29th, 2015. Knowing he was caught, he hired counsel and agreed to waive indictment and plead guilty to violating the Foreign Corrupt Practices Act. Now, on August 28th, 2017, the FBI claims that Baptiste no longer intends to honor his plea agreement or plead guilty. That same day, court records show that Colonel Joseph Baptiste was arrested. His first appearance in court is scheduled for September 7th. We suspect his close ties to Haiti will hurt him in any bail argument. Anyone who solicits a bribe, accepts a bribe, pays the bribe or offers a bribe to a foreign government official is guilty of violating the Foreign Corrupt Practices Act (FCPA). The law applies to American businesses, crimes that take place on U.S. soil or foreign companies that sell securities on a U.S. stock exchange. Although the FCPA is criminal statute, cash awards are available for whistleblowers with inside information about these illegal schemes. The SEC Whistleblower Program pays awards of 10% to 30% of whatever monies are collected from the wrongdoer. Baptiste may not have much money and be stuck in prison for a while. His prosecution is unique in that it was part of an FBI sting operation. Huge whistleblower awards are not uncommon, however. If what Baptiste says is true, the cell phone company and power plant operator could also be guilty. We suspect the awards in those cases could be in the millions of dollars. Much of the alleged wrongdoing in this case took place in Boston and on the phone. Often, however, these schemes take place on foreign soil far away from the eyes of Uncle Sam. Although the U.S. government can prosecute offenses that take place on foreign soil, many folks in Haiti and other countries simply don’t know that awards are available. Our biggest challenge is getting the word out the United States pays cash awards for information about Haitian bribery schemes or public corruption in any other country. 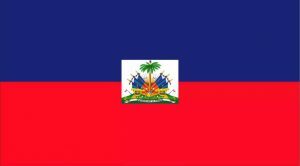 Have information about Haitian bribery schemes? Know a company that has offered bribes to foreign officials in the hopes of securing permits or avoiding taxes? You may be eligible for an award. or by phone at (414) 704-6731 (direct). All inquiries protected by the attorney – client privilege and kept confidential. You can also visit our FCPA Foreign Bribery Whistleblower information page. There is never a fee for our services unless we recover money for you. No award? You owe us nothing.